As the shipping industry faces one of its worst financial spells for some time, South Korean giant ‘Hanjin’ is the first to bite the dust. On Wednesday 31st August, a board meeting of the world’s seventh largest shipping company saw all members unanimously agree to a court filing, meaning they would be entering receivership. The filing has come about since creditors declined the companies appeal for further funding, presumably due to the heavy debt pile already attained. 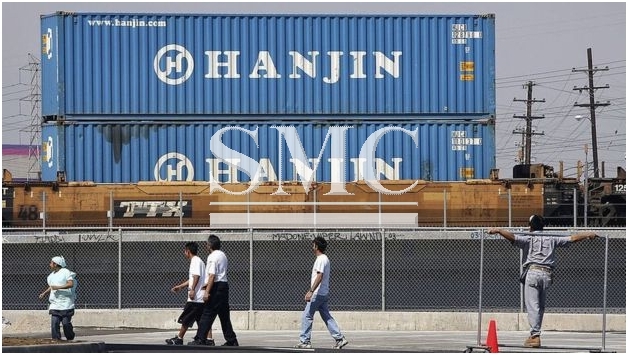 Although negative to everyone associated with Hanjin, it does spell positive news for their closest Korean rivals ‘Hyundai Merchant Marine’ (HMM), Shares of HMM sky-rocketed when it was announced by a financial regulator that the company is considering buying some of Hanjin’ assets. Do not be fooled though, HMM are not a company that has avoided the woes of the shipping industry, they also have also been hit by poor financial results and are looking to restructure; however, they were granted additional funds from creditors after they reached all the financial requirements. The noticeable decline of the Korean shipping sector has sparked concern all the way to the government, who has now decided to undertake a nationwide reorganization plan, which they expect will cause growth to be minimal, if any at all. Let’s hope for Korea’ sake and the sake of the entire global shipping industry, that their restructuring plan can ignite a ripple of positive effects.